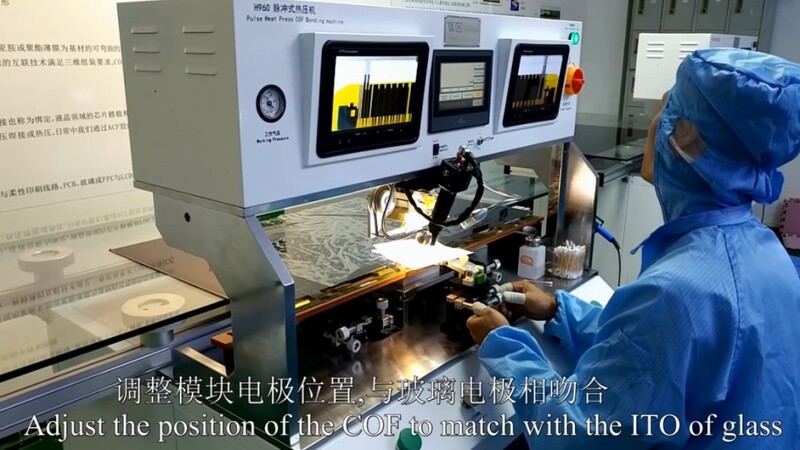 Usage: Make a mark on the screen where fault appear(Vertical line, belt; Horizontal line, belt), after bonding check again if the fault disappeared. 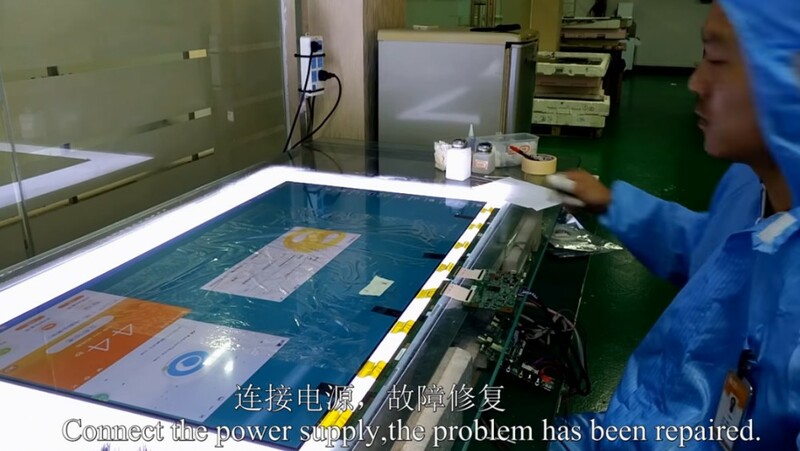 Before disassembly, remove the sealing glue; When disassembling, left hand hold the blower, right hand take the disassembling tool, moving from left to right; Please note PCB side disassembly first and then glass side. Please apply right amount of liquid on ITO Glass and COF. Too less or too much is not working good. And also don’t apply liquid on other part of them, because the liquid is corrosion, will damage the polarizer film or protection film. 2. Scrub with cotton swab(electrostatic cloth) and acetone. 3. Repeat step 1 and step 2 until the ITO is clear. Cut the ACF from reel with a tweezers and scissors. The ACF should a little longer than the COF. And make sure the ACF very smooth and flat.When attaching, fix COF on glass table by left hand, put ACF on COF pins with a tweezers, and make sure a perfectly alignment between ACF and COF pins.After attaching, pre-heating the ACF with a T type iron, this will make a good connection between ACF and COF, prevent ACF fall from the COF when moving. After bonding, do a testing with the screen, make sure the fault was repaired.If not repaired, analyze the reason and repair again. Usually bright line means short circuit; dark line means off circuit.